Dental crowns, or caps as they are sometimes referred to, are a common dental treatment for damaged teeth. They are generally longer lasting than dental veneers but also a little less conservative, requiring reduction of the original tooth surface. However, the finished result can be a very natural-looking tooth or teeth that improve both appearance and function. By booking a full dental checkup with us we can assess your suitability for crowns and check the health of your teeth and gums. Having a dental crown fitted may require a reduction of your original tooth structure and it’s important to realise that once this tooth is cut away it can never grow back. Dental veneers require only a small fraction of tooth to be removed but veneers are not as strong as crowns and may need to be replaced sooner. The initial consultation allows our dentist to assess your teeth and gums. We also take the time, during this consultation to discover your own thoughts on the procedure and any requirements you have. We may also discuss any alternatives to crowns including tooth extraction, dental veneers, bridges and fillings including the cost of each dental treatment. It is important to us that our patients are 100% happy with the decision they have made before proceeding. A local Melbourne dental laboratory then makes your tooth crown in either porcelain or gold or a combination of the two. Gold is the stronger material but porcelain will be a closer colour match to your natural teeth. A temporary crown or cap will be fitted to protect your teeth while your customised dental crown is being made. After about two weeks your dental crown will be securely fitted, giving you back that natural smile and strong bite. 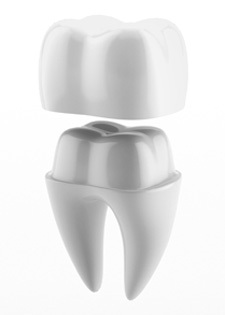 Typically dental crowns last around 10-15 years. 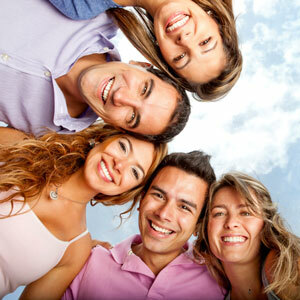 We understand how important it is to make the right decision about your teeth. As part of our service offering dental crowns in Melbourne, we take the time to offer you a full consultation of all the treatments that are available to you along with answering any questions and concerns you have.